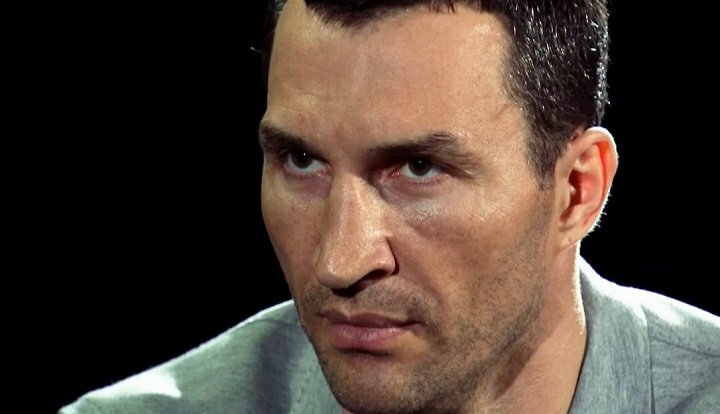 By Scott Gilfoid: Wladimir Klitschko reportedly has ruled out a comeback to face contender Dillian Whyte, according to Sports Illustrated. This is just more fake news that was created out of thin air. The 42-year-old Klitschko (64-5, 53 KOs) WON’T be returning to the ring to resume his boxing career, which effectively ended after he was stopped in the 10th round by Anthony Joshua two years ago in April 2017 at Wembley Stadium in London, England. It’s a good thing that Wladimir isn’t coming out of retirement, since he would have a very good chance of dominating Whyte and stopping him. The difference in talent between Wladimir and Whyte is huge. Wladimir is arguably a much better fighter than Whyte can ever hope to be. Wladimir officially retired in August 2017, and he’s not shown any interest in returning to the ring since then. The rumor was that Wladimir would come out of retirement to face Whyte in the spring. Whyte has been hoping to get a fight against Anthony Joshua on April 13, but it doesn’t appear that fight is going to be taking place. Joshua could be facing Jarrell ‘Big Baby’ Miller next on April 13, so Whyte needs an opponent to keep him busy. Wladimir would be perfect for Whyte if he were interested. Whyte recently bragged that he would knock Wladimir out if he came out of retirement to face him. The rumor of Wladimir coming back to face Dillian Whyte (25-1, 18 KOs) was always laughable. If Wladimir did return to the ring, he wouldn’t choose a less than popular fighter like Whyte. There’s much better choices for Wladimir to fight like Deontay Wilder, Anthony Joshua and Tyson Fury. If Wladimir did return to the ring to resume his career, it would surely be against the likes of Joshua, Wilder or Fury rather than picking out Whyte, who recently struggled to beat journeyman Dereck Chisora last December. Whyte looked poor throughout most of the fight. If not for the the referee, who was clearly over involved in the fight, Whyte likely would have lost. Wladimir is a 1996 Olympic gold medalist from Ukraine. During his pro career, he captured the IBF/IBO/WBA/WBO heavyweight titles. The only belt that eluded Wladimir’s grasp was the World Boxing Council title, which was held by his older brother Vitali Klitschko (45-2, 41 KOs) from 2008 to 2013. If not for Vitali holding the WBC title for that five-year period, Wladimir likely would have won the belt, and unified the division. With both Klitschko brothers holding all the heavyweight titles during a five-year period between 2008 and 2013, it made things interesting. That’s never happened before in boxing in the heavyweight division to have brothers holding down all the heavyweight belts for five years running. In November 2015, Wladimir’s long 10-year heavyweight world championship reign came to an end when he was beaten by Britain’s Tyson Fury by a barrow 12 round unanimous decision in Dusseldorf, Germany. Many boxing fans believe that if Wladimir’s trainer Emanuel Steward had been with him for the Fury fight, he would have beaten him. Steward passed away in 2012. Aside from his first fight against Lamon Brewster, Wladimir was unbeatable when teamed up with Steward. He had a way of making Wladimir fight smart, and attack his opponents aggressively. Steward clearly would have motivated Wladimir to stop Fury and Anthony Joshua had he been with him for those fights. Without Steward, Wladimir lost his last two fights of his career against those two British heavyweights.